My name is Oscar G. Castillo, and I am a licensed insurance producer in the states of Illinois and Wisconsin – having held a valid license since March of 2009. I believe insurance is something we should all have. It can help ease the pain of a financial disaster. After all, Insurance is defined as: the transfer of the possibility of a loss (risk) to an insurance company, which in turn spreads the costs of unexpected losses to many individuals. Since becoming licensed, I have kept up with the ever-changing insurance industry and I also stay current with all state required continuing education courses. My favorite topic in regards to insurance is, Ethics. Who you choose to help you with your insurance needs will be, more-less, in charge of designing the coverages meant to keep you out of a financial disaster – look for integrity and choose them wisely. Soon after becoming licensed and trained, I realized I had gone several years blindly trusting my own insurance agent. Come to find out, my family and I did not have enough coverage in certain areas and more coverage than was needed in other areas. For several years we had been paying for insurance premiums that gave us coverages not suit for our real needs. You see, it like anything else, we must become well informed – it’s our responsibility, we owe it to our families and ourselves. My experience in the insurance industry has taught me that it is not easy for the consumer to receive unbiased information when shopping for insurance. For example: A captive insurance agent represents the insurance company. They are held to certain obligations and restrictions imposed by the insurance company, and usually have only one product to offer. On the other hand, an independent insurance agent typically has a broad range of insurance products to offer, without many restrictions or limitations. I have established relationships with many insurance carriers and I stay current with their insurance products. I have chosen not to be an insurance agent – as an agents’ allegiance is to the insurance companies. As an Independent Insurance Advisor, I provide professional insurance advice and insurance recommendation. My goal is to provide insurance solutions that fit your insurance needs. Similar to an insurance broker, my allegiance is with the consumer – not the insurance companies. I welcome referrals and look forward to providing you a, FREEVIPQUOTE when the time is right for you. FreeVIPQuote Insurance Agency is a full-service, independent, agency. As agency owner, it is operated as a sole-proprietor business. Thank you for visiting www.freevipquote.com, I look forward to providing you valuable service. 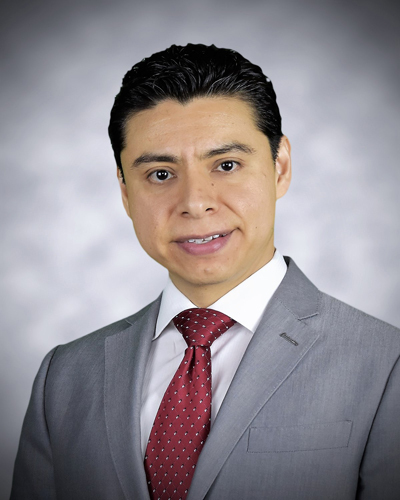 Oscar G. Castillo is an Independent Insurance Advisor, licensed in IL and WI. – All-lines of insurance, including specialty insurance and hard to place insurance. HAVE QUESTIONS? I can help you. Contact me today for your FreeVIPQuote.